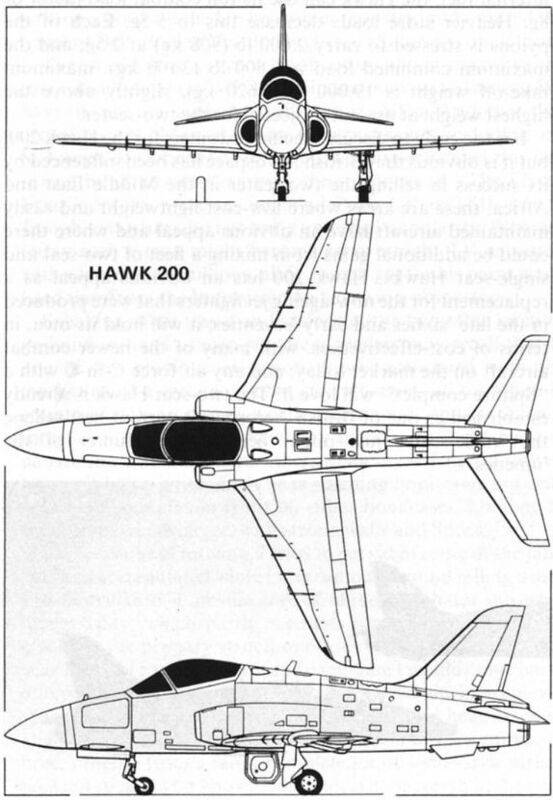 A Hawk T Mk 1 in TWU colours but on loan to the manufacturers, flies with a BAe Sea Eagle on the centreline, drop tanks on the inboard wing pylons and Sidewinders outboard. Hawk T Mk 1A XX221 here displays its twin Sidewinder installation and the new all-grey finish for TWU aircraft. 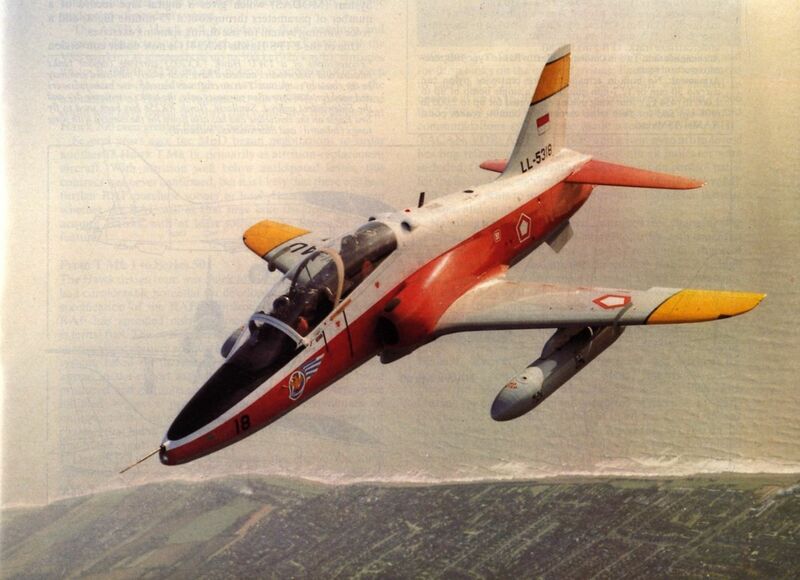 Also new is the red/white/yellow trainer finish on the final three of 20 Hawk Mk 53s delivered to Indonesia. 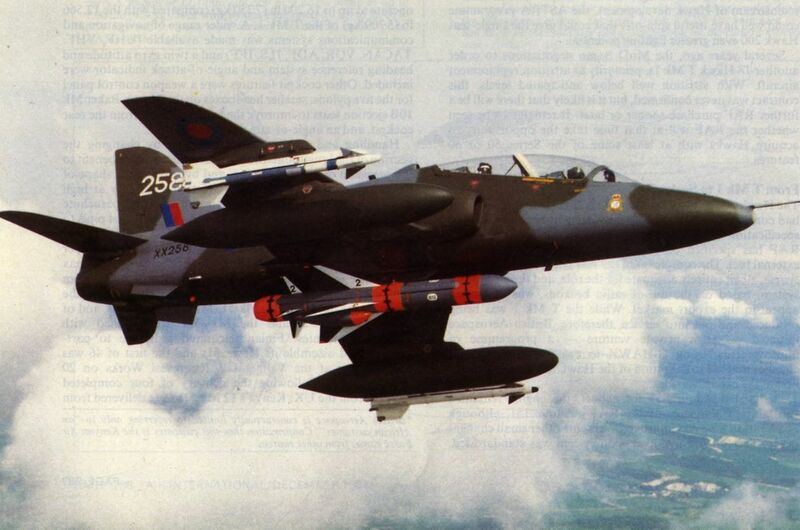 British Aerospace Hawk Mk60s of the Zimbabwe Air Force. 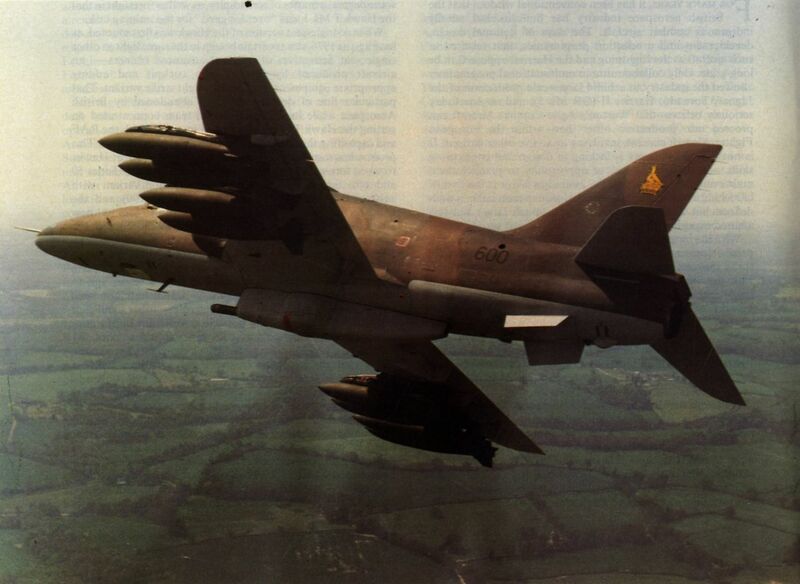 Hawk Mk 60s of the Air Force of Zimbabwe are almost anonymous, national insignia being restricted to the fin marking displayed here on the first of eight aircraft delivered in 1982. 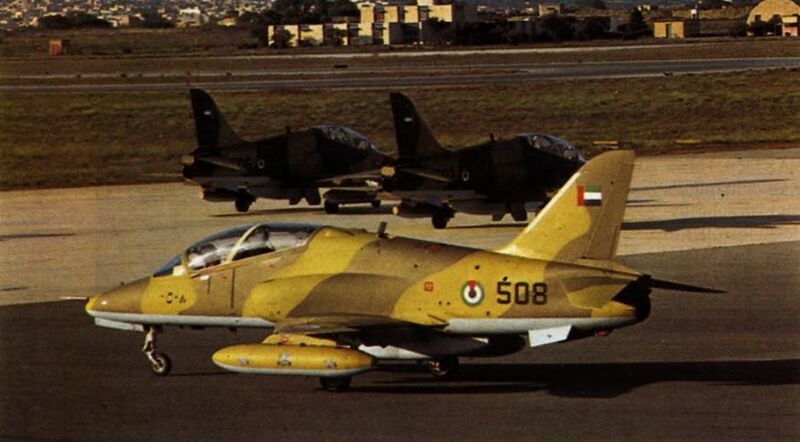 The final three Hawk Mk 61s for the Dubai Air Wing of the United Arab Emirates photographed at Malta during their delivery in 1983. 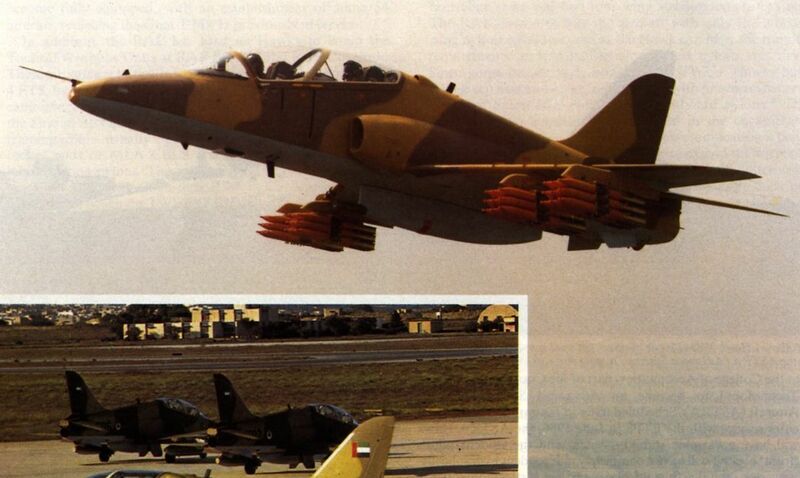 A Hawk Mk 63 demonstrates its ability to carry 36 HVARs. 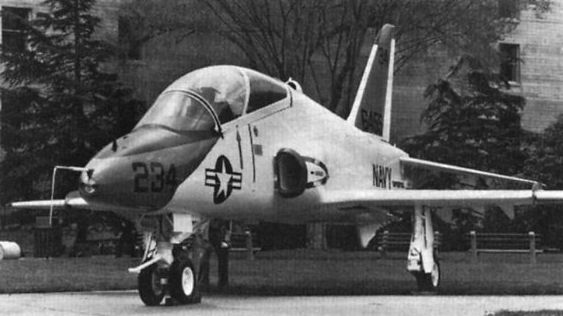 Hawk XX341 is one of three that were supplied, in distinctive red/blue/white finish, for use by the ETPS. 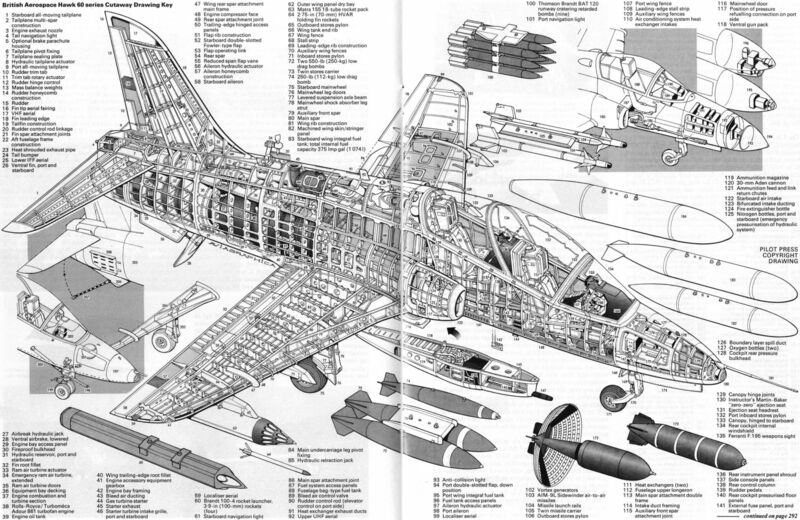 It is now at Cranfield to be modified as the ASTRA (Advanced System Training Aircraft) with variable stability. 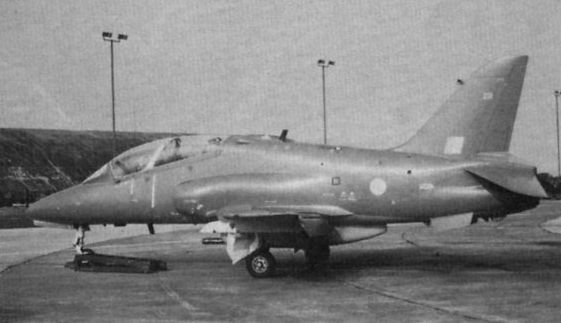 Another view of the all-grey T Mk 1A XX221 at No 1 TWV. 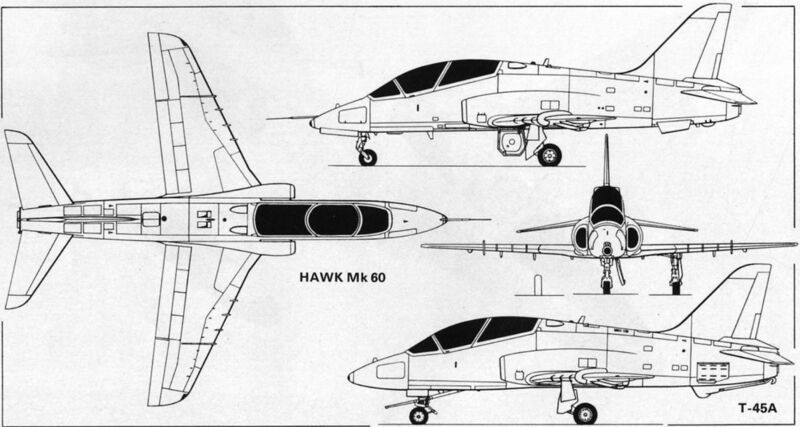 Hawk Mk 52s were the earliest of the exported versions, with first deliveries to Kenya in April 1980. 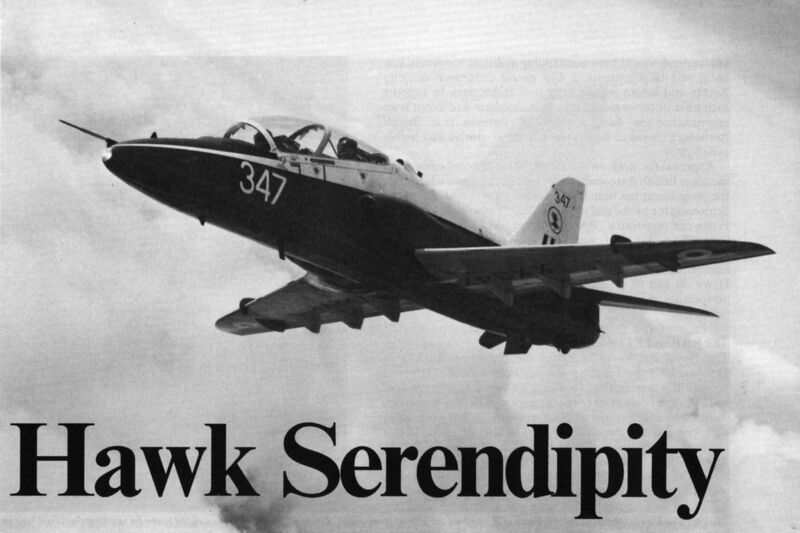 One of the first batch of Hawk Mk 53s delivered to Indonesia, in tactical three-colour camouflage despite their specific training role. View of the full-scale, fully-detailed plastic replica of the T-45A Hawk, now under full-scale development for the US Navy. New features for the deck-landing mission are the arrester hook, fuselage-side airbrakes, long-stroke undercarriage and provision for catapult launch. 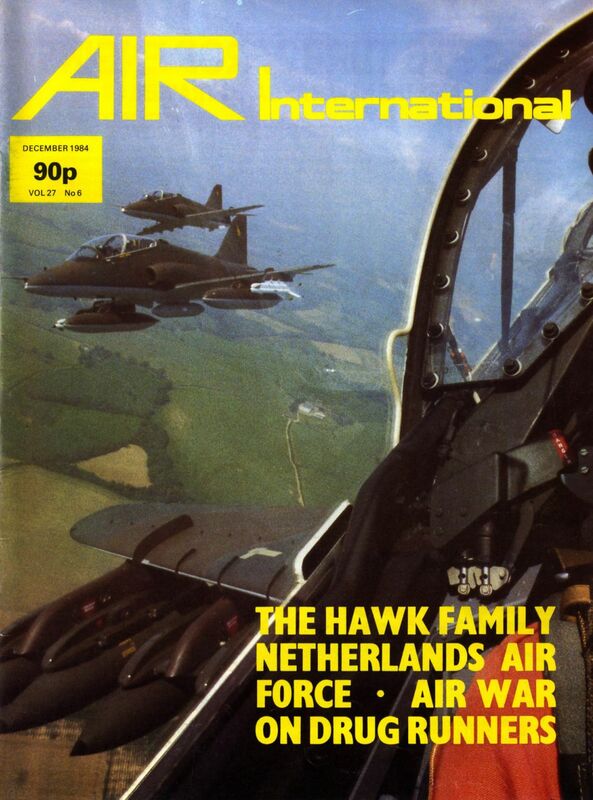 This full-scale replica of the single-seat Hawk 200 was "rolled-out" at Farnborough on 2 September 1984 and is seen here with a Sea Eagle on the fuselage centreline and two drop tanks on the inboard pylons.